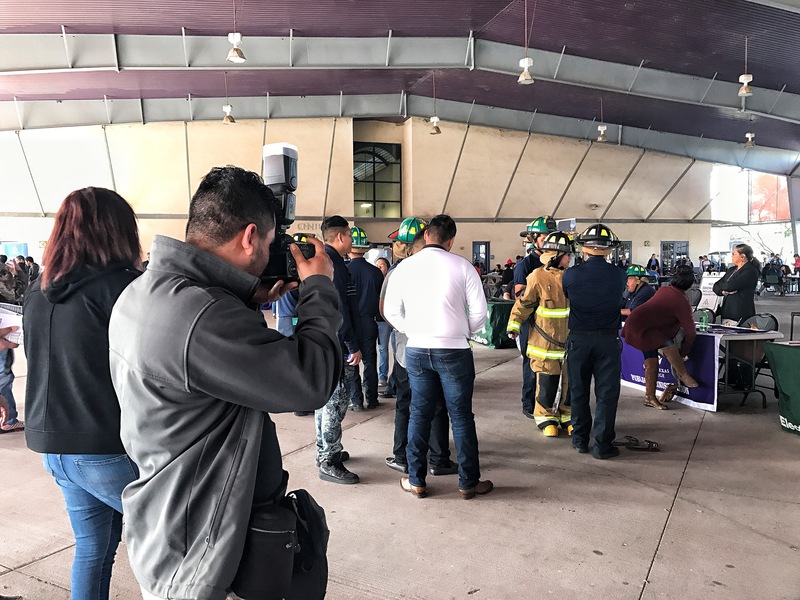 I was photographing a career day a while back at the South Texas College Mid-Valley Campus in Weslaco, Texas, when some students came up to me to ask if their was a booth to find out more on how to become a professional photographer. Although everyone and their mother can become a photographer now-a-days, it’s still a great money making skill to have. I’ve been a career photographer for more than 7 years and it’s been extremely rewarding both financially and emotionally. My career in photography has been perfect in my eyes. I have photographed United States presidents and presidents in the making. I have photographed small coffee shop concerts to big time hip hop artist like T.I. My photography career also spans from small backyard parties to $5,000 plus extravagant weddings. I have also worked for various magazines and newspapers and have been published nationally. One important thing about inspiring others is for you too to be inspired. I am always constantly learning about new photography techniques, new business models, about new equipment. Secondly, you too must be open to teach others what you know. Sharing knowledge is part of inspiring others. In the photography world you have two types of photographers; those who share and those who don’t. The ones who do are the ones who often you find running a successful business. The core value of a good photographer should be honesty and let me tell you why. If you are a bullshitter you will be found out. The camera never lies. You should hold yourself accountable for all your screw ups as well as your success because people are watching you. I will be the first to admit that I have lost client files, I have broken equipment that wasn’t mine and I have run out of money where I couldn’t pay my help… but I manned up to all of them and took care of those issues. If you go around lying about your work and what you do in photography the industry will expose you. To those who follow my work and are fans and even to those who dislike me, I say to you, THANK YOU! In some way you have inspired me to grow as a photographer and business owner. If you’re on your journey in becoming a professional photographer always be aware of your fans, followers and clients and never forget about your critics too. There’s going to be a day when you will need to draw inspirtiarion from them! Love what you do and you may inspire others!